In November 2014, I backed Leo Babauta's Kickstarter campaign to fund his book, Zen Habits: Mastering the Art of Change. Last weekend, the book arrived in the mail, and when I opened the package, I squealed with delight. The book is beautiful! I love the cover and the typeface. I’ve read one-quarter of the book, and it is full of helpful tips to form long-lasting habits. 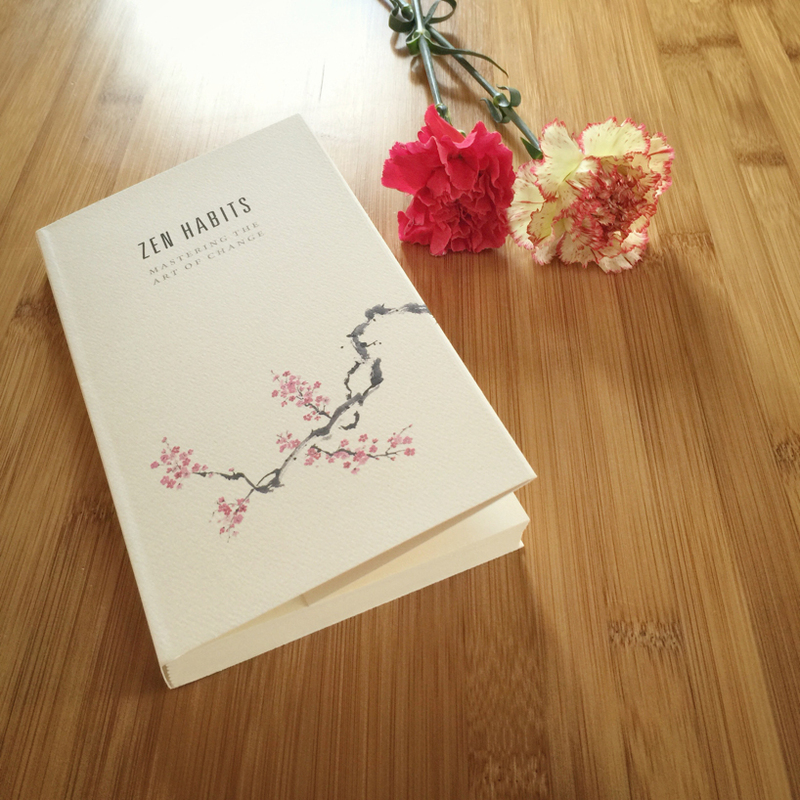 The book I received is a limited edition print, so if you have questions about Zen Habits: Mastering the Art of Change, please contact Leo. I love listening to podcasts on my daily walks. These were powerful: "In Sickness and In Mental Health," "Online Reflections of Our Offline Lives,” and "Forgiving the Body: Life with ALS." So true: "Your Internet habits create your reality." I like Michelle’s new notebook. A touching post: "Buying time." “The Pain of Caregiving and the Privilege of Suffering" made me think of my dad and the lessons I learned during his illness and after his death. On my reading list: Tattoos on the Heart, 30 Lessons for Living, and We Know How This Ends. Finally, Brendan Rempel built Live Simple to make it easy for anyone to discover and rent tiny accommodations. Right now, Brendan's biggest goal is to grow the number of listings on the site. If you know tiny homeowners who want to rent their abodes, send them to Live Simple.